Prepare your School Talk presentation The ABC’s Of Success. Train your staff extensively in these programs. These school presentations and the school talk system used to support your mass introductory classes is too important to let an untrained, un-motivated instructor conduct these school talks and seminars. You must train, train, train, until they get it down perfect and with excitement. 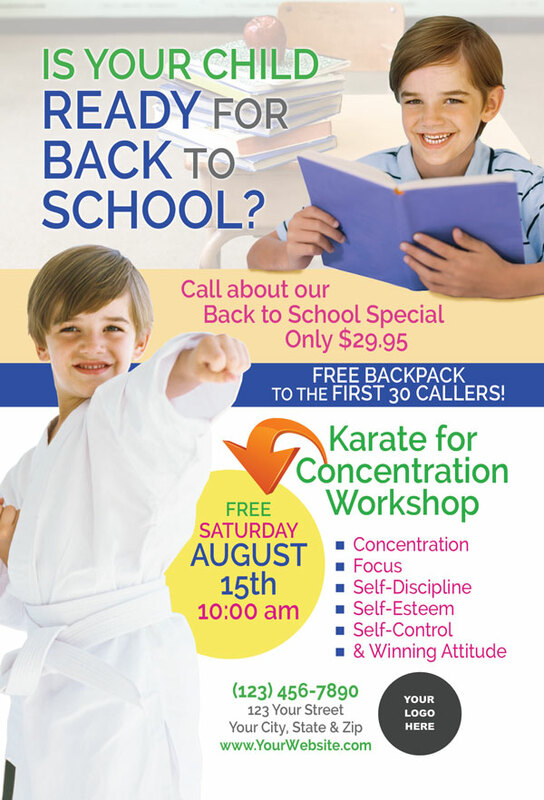 I have sent you the scripts for the ABC’s of Success/Karate for Concentration seminar and support materials. Get out snipe (yard) signs on both side of the road leading to and from every elementary and middle school in your area. Give them to parents to display in their front yard. 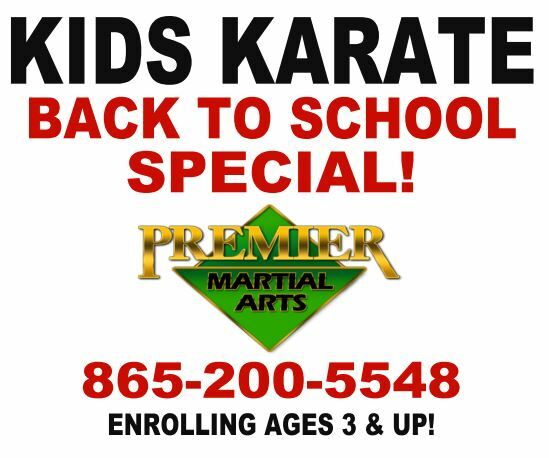 The signs should simple say Free Karate Lessons and then the phone 555-5555 or now we can use our text messaging service and put TEXT 4PMA to 96362. We recommend the 18×24′ corrugated plastic signs. Start promoting the Mass Intro procedures like crazy. Families are settling in their routine, so now is the time to hit the pavement and pass out those invitations for your weekly mass intro. 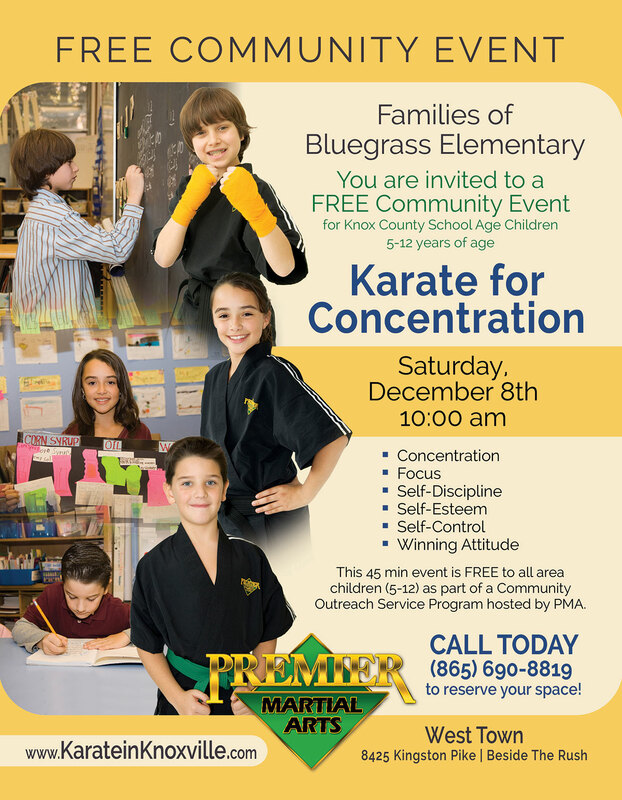 Plan to set up information booths at your local Wal-mart, K-mart, your local elementary schools’ open houses, and anywhere else that you can promote your school. Many states have a Tax Exempt weekend. This is where your state waives all sales taxes on educational and back to school items. If you do not know if or when your state does this, simply go to Google and enter Tax Free School Shopping and you will find the answer. 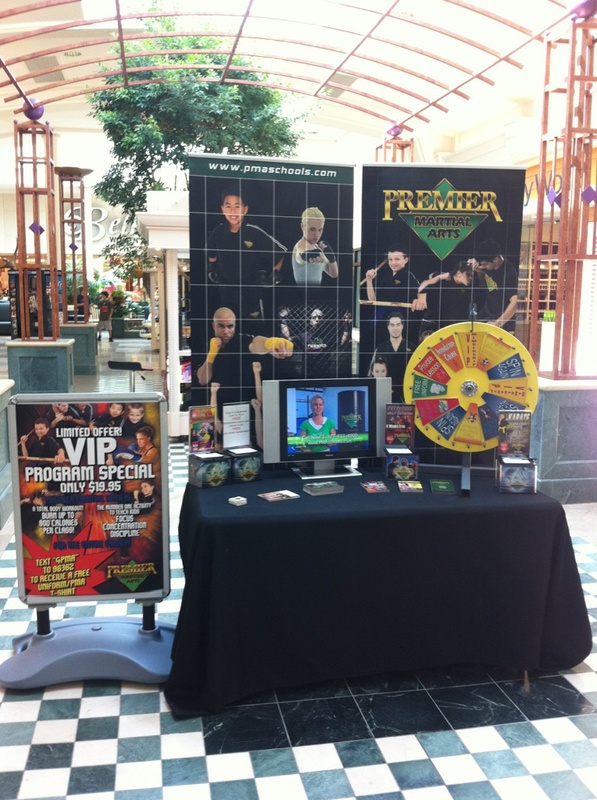 This is a great opportunity to set up a promotional booth at your local mall or shopping centers. 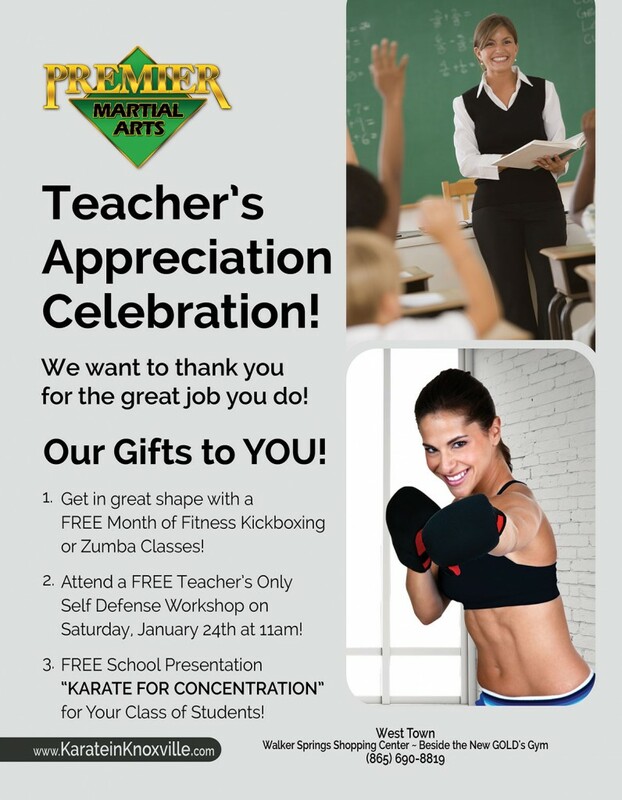 Make sure your booth is professional looking, has professional materials to hand out, that your staff and demo team are dressed professional, that you have an exciting way to attract people to your booth, and that you promote a mass intro, introductory lesson appointments, and your back to school offer. 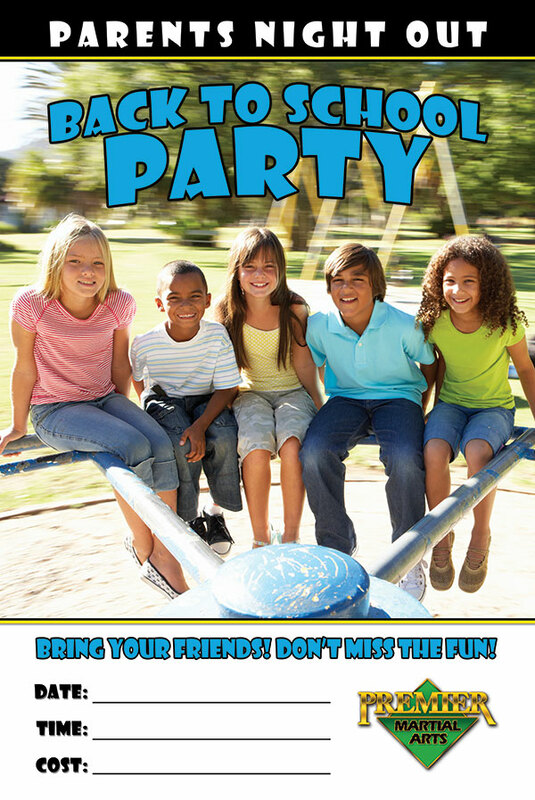 Throw an awesome Back to School party. Send or call all MIA students an invitation to the party. Allow your students to bring guests and invite them to your next mass intro. Ideas for parties include magic night, movie night, pizza party, pool party or sleepover. I always like a Back to School pool party and cookout complete with a DJ, and door prizes. This is a great event! Have this event three weeks after school has started. Have a ticket raffle to give away prizes. Invite all buddies back on Saturday morning for your mass intro! The goal is to get everyone back and involved in your school ASAP. Be sure that all vacationing students are back in class. All stragglers should be contacted and offered extra help to get restarted. Also, you will always find parents who think their child’s new grade is overwhelming and look to drop out. We want to make sure they understand our schools’ benefits and that they have such a great experience at our school that they would never think of quitting.